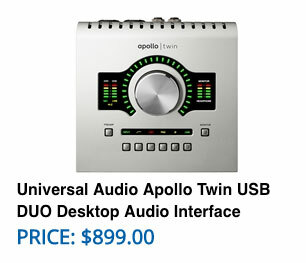 Buy an Apollo Twin or Arrow Interface, Get Free Plug-Ins! With their world-class sound and included premium UAD plug-ins, Apollo Twin and Arrow audio interfaces let you add the color of classic Neve preamps, a tweed Fender tube amp, the shimmer of Lexicon reverb, and the best analog tape simulations in the industry to your recordings. 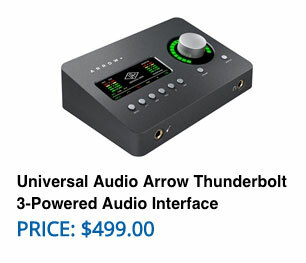 The promotional plug-ins will be automatically added to your account once you register your new UA Audio Interface. No problem. You’ll be able to pick from an alternate list of UAD plug-ins. 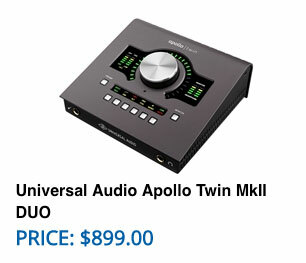 Valid for customers who purchase any new Apollo Twin or Arrow audio interface new from an authorized UA retailer between between October 1st and December 31st 2018. Customers must register their new Apollo Twin or Arrow before January 15th, 2019 to receive free plug-ins. All promotional fulfillment is subject to approval by Universal Audio.